In June, at Webinale conference, Berlin Startup Academy put together a panel of seed VCs for a “reverse pitch” – VCs explaining their approach to identifying promising teams. Since every VC on the panel had been selected for offering a different approach to seed funding – from business angel to incubator to crowdfunding to media4equity – part of the pitch was to describe what sort of company was an ideal match for the respective approach. Before we started, backstage, I asked the guys how they defined their funding range – did they see themselves as early-stage seed VCs providing between 50 and 200k? Or as a later-stage seed VC, maybe even a proper Series A financier, providing seven-digit funding? When I put this question to Christian Stein, investment manager at Frankfurt-based VC Creathor Ventures, he came back with an answer that I found surprising. Christian said that for him, the defining metric for an investment wasn’t any particular stage a team was in, or a specific business model. It was if “a team was in a position to answer all the questions”. He added that teams which could do that were normally in a later stage; but if he ever found an early-stage team that could provide all the answers, Creathor would be ready to invest any sum necessary to take them to the next level. Afterwards, I gave that statement some thought. What is it about these questions and answers? Aren’t VCs normally looking for a well-calculated business case, or a certain product or market, or a team that boasts important skills? Let’s jump back a few years in time, 2400 years, in fact. The year is 388 BC, the place is Athens. It’s a time of transition. After having vanquished Athens in the Peloponnesian War, Sparta dominates Hellas. But it’s an uneasy dominion to end 17 years later with Sparta’s defeat at the hands of the Thebans. The classic Greek city-state, the democratic polis, has another 50 troubled years to go before being conquered by and lost to Philip and Alexander of Macedon’s monarchy. In this time of insecurity and doubt, a philosopher by the name of Plato from time to time releases treatises on unshakeable wisdom and truth and how to attain these virtues. 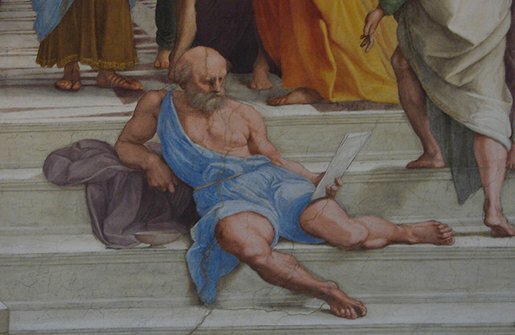 In these treatises, he employs the technique of another philosopher who by this time is dead already: Socrates. It’s a technique of dialogue. These “Platonic dialogues” are not, unlike the more modern works of Hegel, Nietzsche, and Schopenhauer (which we all know and cherish); trains of thought that build up to lead to the philosopher’s final conclusion. They are plays of questions (put by Socrates) and answers (by some young scholar) that, step by step, build a logical sequence which ultimately has the young scholar confirm the truth that the philosopher was aiming at from the start. The philosopher guides him towards that goal by putting precise questions that beg precise “yes/no” answers. The larger part of these dialogues consists of logical chains that follow a pattern of “if we assume that A is true – doesn’t this mean that B must be true, too? And that C is false?” Hence, according to Plato, in order to prove if an idea or concept is true or at least sensible, it needs to withstand a compelling logic of questions and answers. If you have the answers to all the inevitable, logical questions that a certain concept will necessarily evoke, you’ve reached certainty of your concept (aka “philosophical wisdom”). It’s answers to questions like these that I believe Christian was talking about at Webinale – and Plato would have liked to hear, too. When thinking the basic concepts of your startup idea through, you will bump into many of these “When defining A, what are the necessary consequences for B and C?” crossroads. And we know that’s true whenever we meet a great founder doing his pitch. A great founder hasn’t merely learned the rhetorics of his pitch by heart. His in-depth understanding of what he wants to do enables him to effortlessly and credibly derive B and C from any statement A. 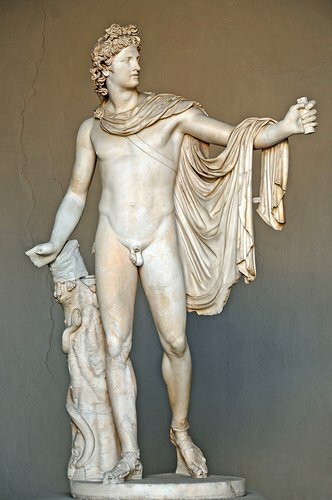 The concept of the Classical “Academy” was named after a garden outside Athens called Akademos – derived from the mythical hero where much of the philosophical teaching of the 4th century BC was done. And today – more modern startup mentoring and accelerator programs stem from this. Good mentors (and investors), upon hearing an idea or concept, will immediately start thinking about the logic of its third or fourth consequences. And will want to find out if the respective founder has done that, too. If he has, and is still confident and credible, it doesn’t matter what sort of money he’s looking for. He’s there – and even Plato would bow.